1 Bruno Filippi Famous Sayings, Quotes and Quotation. I do not want to unite with the multitude of those who flatter the proletariat, excusing them, praising them, adorning them with wreathes. No, oh distinguished windbags, your verve disguises nothing. The "people" is always there, idiotic, cowardly, resigned. 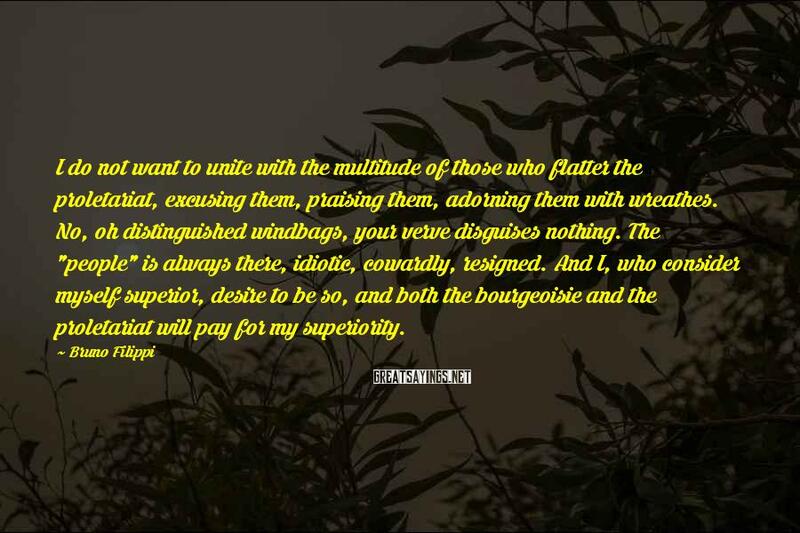 And I, who consider myself superior, desire to be so, and both the bourgeoisie and the proletariat will pay for my superiority.